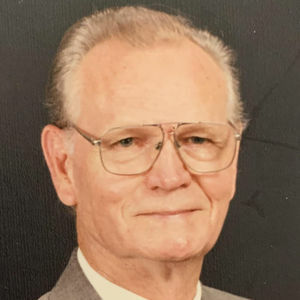 Clyde Earl Ellison, 94, husband of the late Margaret Earle Ellison, passed away Thursday, April 12, 2019. Born in Easley, a son of the late Harvey Thornwell Ellison and the late Elmina McCall Ellison, he was retired Project Manager after thirty-four years of service at Fluor Daniel, a U.S. Army Air Corps veteran who proudly served his Country during Word War II as a Gunnery Instructor, a past President of the Greenville Exchange Club, and a cherished member of Augusta Road Baptist Church. Mr. Ellison graduated from Easley High School in 1942 and earned his Bachelor's Degree at Newberry College in 1948. He enjoyed music, playing guitar, and spending time with his family. Surviving are daughters, Anita Ellison Collins and Rachelle Ellison Mickel (Charles), both of Greenville; and grandsons, Thomas Harper Collins (Natalie), Charles Clark Mickel, Jr., and Townes Alston Mickel, all of Greenville. In addition to his wife and parents, Mr. Ellison was predeceased by a brother, Thornwell J. Ellison; a sister, Ruth Ellison Norton; and a son-in-law, Tom Collins. Funeral services will be held at 12:00 p.m. Monday, April 15, 2019 at the Chapel of Robinson Funeral Home - Powdersville Road. 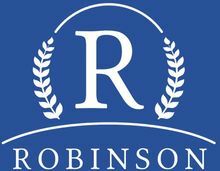 Burial will follow in Robinson Memorial Gardens. The family will receive friends from 10:00 a.m. until 11:45 a.m. Monday, April 15, 2019 at the funeral home, prior to the service. In lieu of flowers, memorials may be made to Augusta Road Baptist Church, 1823 Augusta Street, Greenville, SC 29605. Add your thoughts, prayers or a condolence to Clyde 's guestbook.